Not far from Hilo, two PUBLIC GARDENS are laid out in exquisite natural environments: Hawaii Tropical Botanical Garden and World Botanical Gardens & Waterfalls. Opened in 1984, HAWAII TROPICAL BOTANICAL GARDEN is nestled in a 40-acre valley edged by the Pacific Ocean. Here you’ll find more than 2,000 species of exotic plants that include orchids, palms, heliconias, gingers and bromeliads, among others. Located on Highway 19, the garden is open daily. Visit htbg.com. BOTANICAL WORLD ADVENTURES is home to WORLD BOTANICAL GARDENS & WATERFALLS and presents the essence of Hawai‘i. 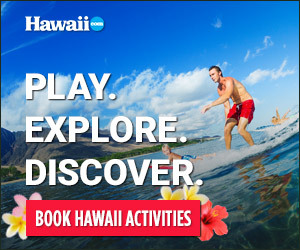 Offering popular RAINFOREST TOURS, ZIP LINES, WATERFALLS, Hawai‘i’s only BOTANICAL SEGWAY TOUR, and a huge garden MAZE, experience adventure and fun at Botanical World. Along with views at World Botanical Gardens, visitors will take in 360-degree vistas of MAUNA KEA and sweeping ocean views. This popular botanical garden showcases ancient history through unique and exciting adventure tours, ranging from SEGWAY GLIDE off-road tours to ZIP ISLE ZIP LINE flying tours through rainforest canopy. Not to be missed is the exclusive GUIDED BOTANICAL DISCOVERY TOUR of the gardens, where you’ll spot hundreds of orchids, bromeliads and exotic plants. Or enjoy the GARDENS AUDIO TOUR at your leisure. Reservations recommended.Botanical World is located just 16 miles north of Hilo on Highway 19 at mile marker 16. For more information, visit botanicalworld.com. On the other side of the island, PUA MAU PLACE is a botanical garden and arboretum laid out on the west slope of the Kohala Mountains near Kawaihae. The gardens feature a MAZE planted with 250 species of hibiscus, an AVIARY populated by about 150 exotic birds and a collection of original SCULPTURES. Visit puamau.com.